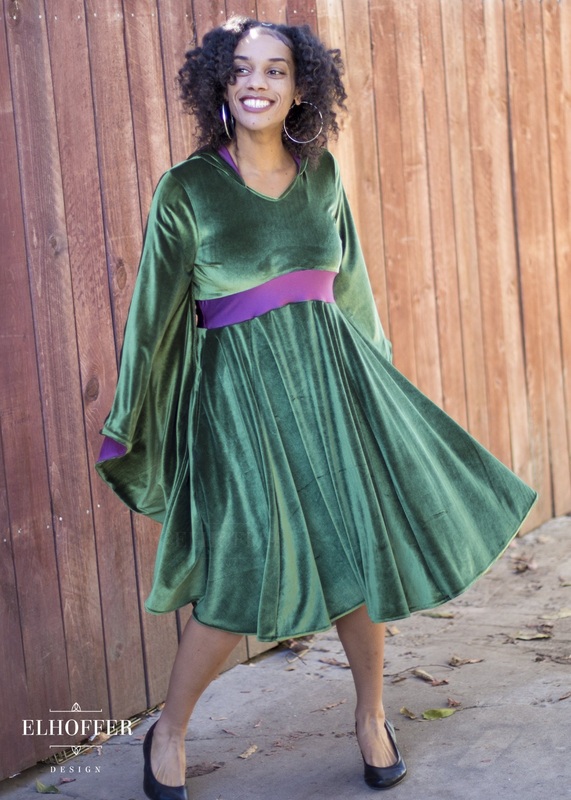 This beautiful Padme’ Amidala velvet dress is now available for pre-order from Elhoffer Design! 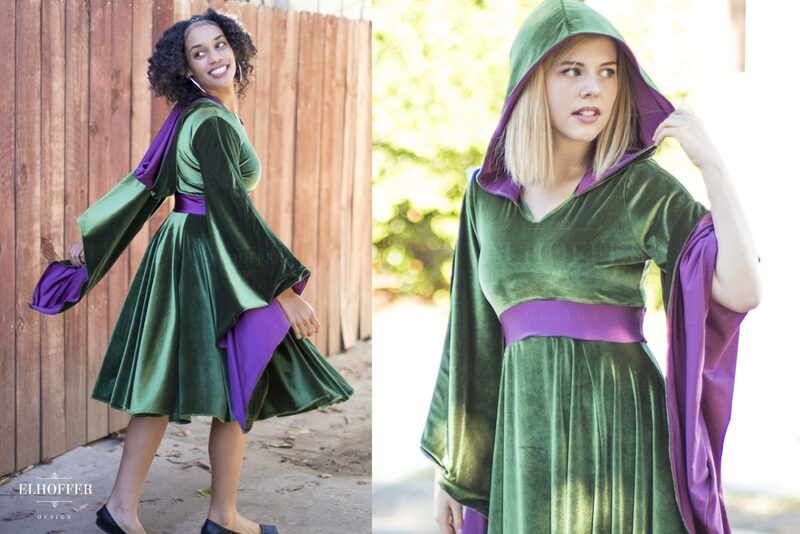 Inspired by the ‘green cut velvet’ dress Padme’ wears in Revenge Of The Sith, this ‘everyday cosplay’ style interpretation includes a full skirt, draped sleeves, and hood. 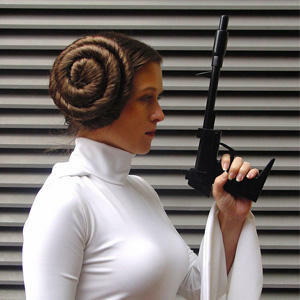 This dress is part of Elhoffer Design’s new Padme’ Amidala inspired range, which includes pieces inspired by her velvet battle outfit from The Phantom Menace, and a white sweater and cape inspired by her Geonosis outfit from Attack Of The Clones. 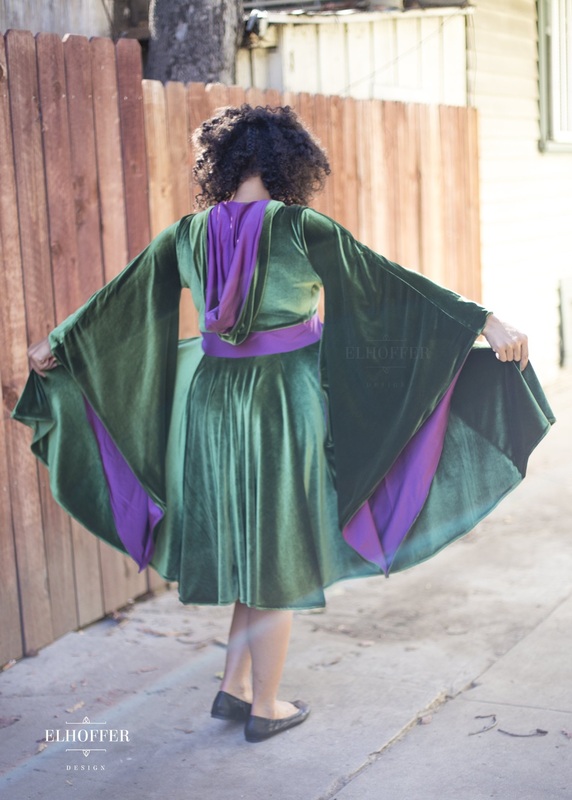 Check out Elhoffer Design on Instagram for a preview photo of a new cardigan coming soon, inspired by Queen Amidala’s throne room gown! 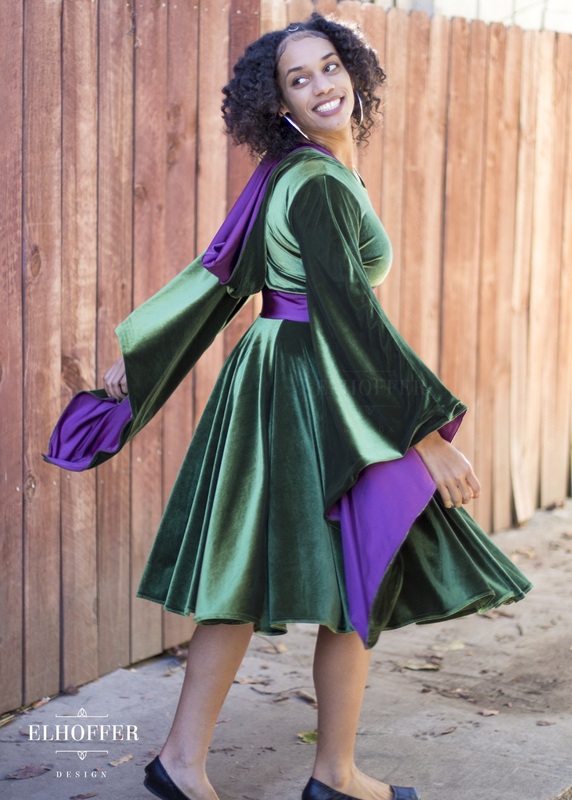 Available in sizes XS to 3XL, the dress is priced at US$300.00 each – but order now and grab this at a fantastic discounted ‘pre-order’ price! Elhoffer Design can ship internationally, which is great!